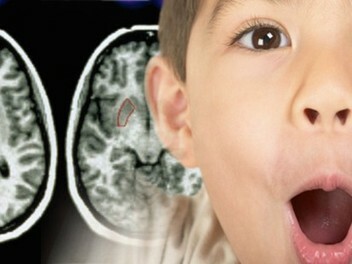 New research results show that ADHD symptoms were spotted in the brainscans of toddlers. The physical and neurological symptoms imply a structure in the brain that plays an important role in the cognitive and movement control and that in children with ADHD is smaller, Health Day news announces. The Kennedy Krieger in Baltimore used high resolution MRI to examine the brains of 26 preschoolers, of whom 13 had ADHD symptoms and 13 had no such symptoms. The difference spotted in the brain scans between the two groups was a smaller caudate nucleus, a structure found in the subcortical region of the brain. There was also found a correlation between the size of the caudate nucleus in children with ADHD – the smaller the structure, the greater the symptoms. The study’s findings, which were published on June 9th in the online edition of the Clinical Neuropsychologist journal, contribute to other research in the field on ADHD prevention and treatment. The article stated that earlier identification leads to “minimized impact of ADHD in the long-term”. ADHD – Attention Deficit and Hyperactivity Disorder – is the most common child behavioral problem diagnosed in the United States. At present there are known 2 million cases in the States alone. The chronic condition that affects the children often persists during adulthood as well. Most people are diagnosed before turning 7 years old, but signs can be spotted as early as 2 years old. The symptoms include difficulty in completing tasks that take time, trouble in paying attention to detail, easily distracted by almost anything, forgetfulness, talking excessively and changing the subject often, being always on the go, restlessness. The boys and the girls can manifest differently, as the boys are more hyperactive and tend to not obey their parents and teachers. Girls are more inattentive, daydreaming a lot. Although the treatments don’t cure the condition, it improves the behavior and children with ADHD can learn to control the symptoms through a series of measures and have a normal adult life.